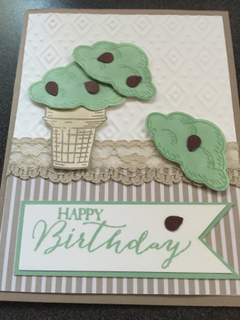 I wanted to show you some great cards made with the Sprinkles of Life Stampset from Stampin' Up! This stampset is so adorable! And one of the best parts is that there is a coordinating punch for the set. 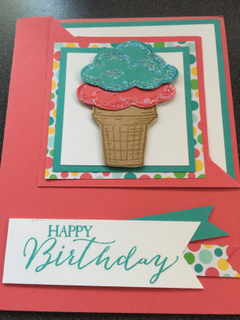 It makes it so easy to create amazing cards! Check out these great cards! This card was made by Mo Dickie. I love the colours - makes me want some mint chocolate chip ice cream! 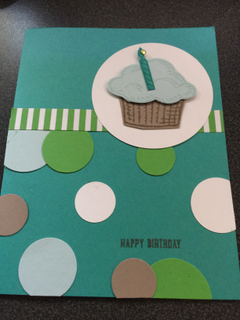 This card was made by Diane Evans. So cute with the glitter on the ice cream scoops! Ginny Duncan made this card. So cute! For every one of these stamp sets purchased, Stampin' Up! 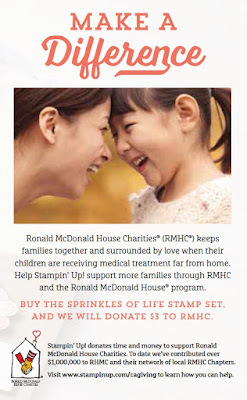 will donate $3 to Ronald McDonald House Charities. What a great way to give to a very worthwhile cause. I worked at BC's Children's Hospital early in my career as a pharmacist so had a chance to see first hand what a difference that the Ronald McDonald House makes in the lives of the families need to be away from home to receive care. 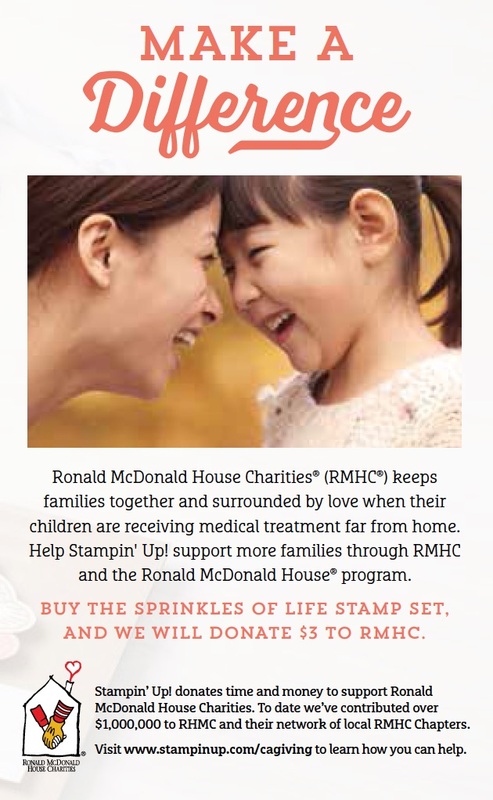 I've also been very privileged to participate in a RMHC Stamp Camp for the last 3 years organized by some SU! Demonstrators in the Lower Mainland. This year's event is on October 17th from 10:30am to 2:30pm. The theme is Christmas so you'll make 9 different cards throughout the day. Great fun and you'll be a step ahead in getting ready for Christmas! Cost for the day is $45 and besides the cards, includes a goodie back and a light lunch. Want more information or want to register? Click here! 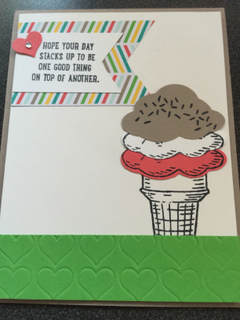 If you haven't received the Stampin' Up! Annual Catalogue or the upcoming Holiday Catalogue, email me and I'll make sure you do. If you want to place an order, click here!